A completely fun and awesome looking acrylic goblet, it's the Wonder Woman Insulated Goblet with Lid! This red, durable goblet featuring the Wonder Woman logo holds up to 12 ounces of liquid and is BPA free. 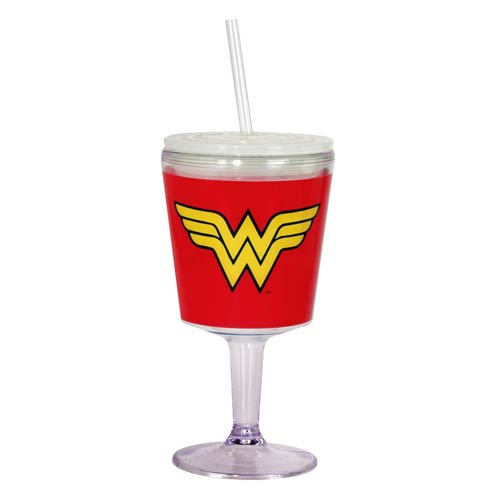 The Wonder Woman Insulated Goblet with Lid measures 7-inches tall and comes with a lid and straw. Hand wash only. Not dishwasher safe. Do not microwave.